Got a table full of remote controls? How would you like just one? You work hard – let your smart house take some of the edge off a long day. Imagine this scenario: you pull into the driveway. Your house recognizes that you’ve arrived, turns on the lights, sets your music playlist to shuffle and the hot tub begins to heat. Not bad for just showing up. One touch at night from the bedside puts the lights into “Sleep” mode, sets the alarm and makes certain the fountain lights just went off. It’s that easy. 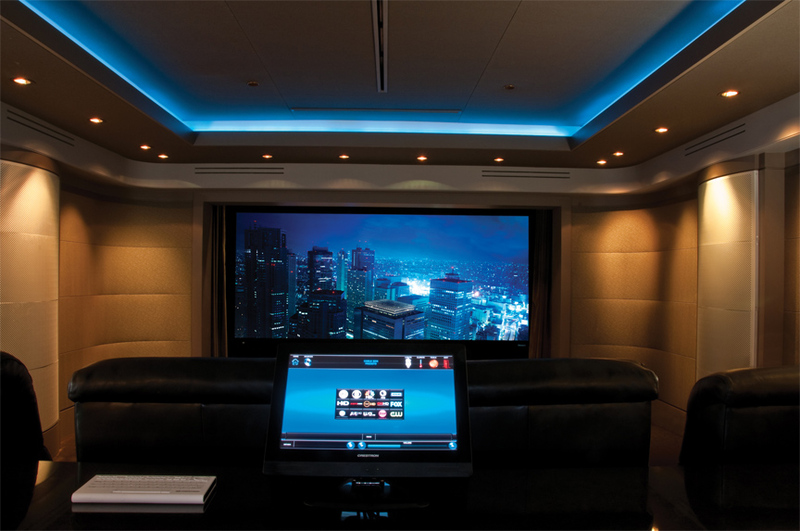 We use the most modern technology to provide automatic systems that enhance your comfort and pleasure. We get to know you and how you live at home, taking your personal choices and making you the king or queen of your castle, resulting in the system of your dreams. Your system can set the temperature of your house so you arrive to a warm home. It’s smart enough to adjust sound settings to match the style of music you’re playing, or dim your lights without any effort on your part. If you are planning on building a house, even if you are a year away, call us now. We work with the area’s finest architects and custom-home builders to design the cabling infrastructure that will support technology today and in the future. That’s why we’re called FutureLink. If you are planning on building a house, even if you are years away, call us now. We work with some of the area’s finest architects and custom-home builders to design the cabling infrastructure that will support technology today and in the future.